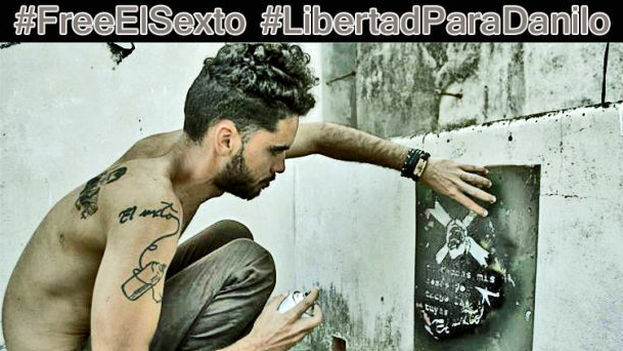 El Sexto was arrested last December 25, while preparing for a performance that would have dropped two pigs in a Havana square with the names Fidel and Raul painted on their sides. Currently he is being held in the Valle Grande prison, accused of disrespect, a crime which could result in a sentence of from one to three years in prison, although to date he has not been taken to trial. A strong police operation was carried out against peaceful dissidents and opponents during the visit of Pope Benedict XVI to Cuba. Between March 26 and 28 in 2012, when he was in the country, the authorities carried out dozens of arrests of activists, house arrests and massive cuts in the mobile phone lines belonging to representatives of independent civil society. In recent weeks, several independent groups have sent letters to Pope Francis in advance of his arrival in Cuba. Among them are the Patriotic Union of Cuba (UNPACU), the United Anti-totalitarian Front (FANTU) and the Cuban Civil Society Open Forum. Almost all messages agree in the request for the release of political prisoners and to intercede with the Government of Cuba for greater freedom and dialogue.